Forecasters at AccuWeather are predicting a slightly above-average Atlantic hurricane season, anticipating 12 to 14 total storms, five to seven of which are expected to become hurricanes, with two to four expected to become major hurricanes. Atlantic hurricane season spans from June 1 to Nov. 30. Major hurricanes are defined as being Category 3, 4 or 5, in regard to wind strength. Category 3 hurricanes are comprised of winds gusting between 110 and 129 miles per hour, with Category 4 spanning from 130 to 155 miles per hour, and Category 5 exceeding 156 miles per hour. “Now is the time to start planning. Of those people who were impacted by Florence and Michael last year, the ones who did not have plans in place had the most difficulty in dealing with the storm when it was occurring and during the recovery," said AccuWeather hurricane expert Dan Kottlowski. Forecasters use information from comparable past years to help predict the upcoming hurricane season. 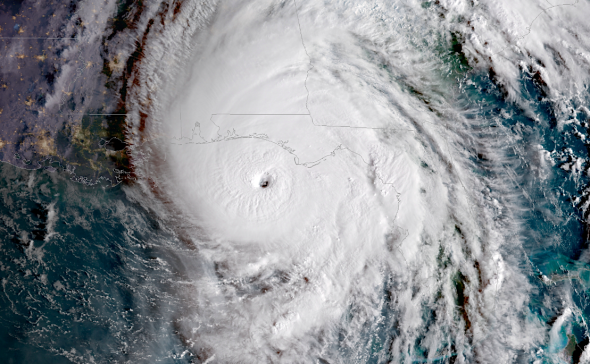 When thinking about 2019, AccuWeather found the strongest similarities in the 1969 Atlantic hurricane season. During 1969, Hurricane Camille caused widespread damage along the Gulf coastline as the one of only three Category 5 hurricanes on record to make landfall in the United States. Kottlowski cautioned that just because a devastating storm hit during a comparable year, it does not necessarily mean a similar storm is on the way. “But it shows you that this year, at least the climate pattern has the capability to produce several very strong storms and so people should not let their guard down," Kottlowski added. Some years tend to favor particular areas in terms of landfall likelihood, but 2019 appears poised for equal opportunity storm surges. “This year, just about all coastal areas look like they have equal chances,” said Kottlowski.